I knew of the late Clark Davey back in the 1980s when he must have been a ‘youngster’ of only 60 years old. At the time, I was features editor at the Vancouver Sun and he was a publisher with the Southam newspaper group, the parent company. I had suggested to my boss that Vancouver should be the home paper for some reporting on the national film industry. My boss floated the idea to senior officials, including Davey but Davey promptly shot down the idea muttering that Vancouver did not have a viable film industry and that Toronto would be the more logical home for such an exercise. In other words, in the Canadian version of the New York versus Hollywood battle, New York had won. 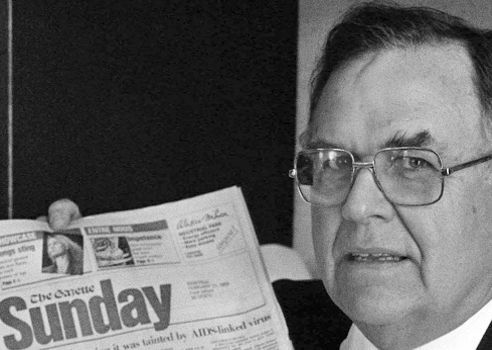 Clark Davey died this month, and in a lengthy and laudatory obituary, running under the headline “Newspaperman nurtured investigative journalism at the Globe and Mail,” writer Simon Houpt also gave me my word of the week: suzerainty. He [Davey] gave me a sense of joy of being a journalist that I hadn’t had before I arrived at The Globe and came under his suzerainty. My eyes leapt to attention at such an unusual word, which I had never heard before. It turns out, it refers to any relationship in which one region or nation controls the foreign policy and international relations of a tributary state, while allowing the tributary nation to have internal autonomy. In other words, self-rule is limited. This was the amusing point I believe Valpy was trying to make about Davey’s iron fist. The word is French in origin, from the Middle French, Middle French susereneté.